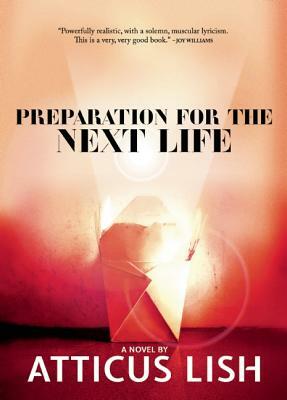 Praise for "Preparation for the Next Life"
The next life of Atticus Lish's novel is the one you have to die to know. It's also the next civilian life of a soldier ravaged by three tours in Iraq, and the dodgy life of an immigrant in the city's sleepless boroughs. The work is violent, swift, and gloriously descriptive. It is love story and lament, a haunting record of unraveling lives. Lish says starkly and with enormous power: the spirit prevails until it doesn t. A stunning debut. --Noy Holland, author of "Swim for the Little One First "
An illegal Chinese immigrant meets a broken American warrior, and the great love story of the 21st century begins. The intersection of their paths seems inevitable, irrevocable. Their story: tender, violent, terrible, and beautiful. Atticus Lish's prose, lyrical and taut, sentences as exact and indisputable as chemical formulas, is trance-like, evangelical in its ability to convert and convince its reader. "Preparation for the Next Life" is that rare novel that grabs you by the shirt and slaps you hard in the face. Look, it says. It isn't pretty. Turn away at your own risk. In case you haven't noticed, the American Dream has become a nightmare. Atticus Lish has your wake up call. He has created a new prototype of the hero, and her journey provides us with a devastating perspective on the "promised land" of the post 9/11 U.S., where being detained is a rite of passage and the banality of violence is simply part of the pre-apocalyptic landscape. -Christopher Kennedy, Ennui Prophet. Atticus Lish: Atticus Lish lives in New York.